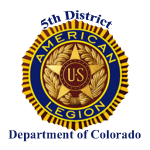 Littleton Post #103 of the American Legion was chartered in August 1920. Very little is known about the early activities of the Post. Fast forward to April 1993. 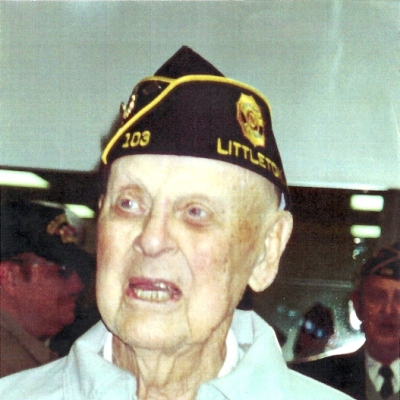 On April 7, 1993, following a mass mailing by Department of Colorado officials to American Legion Post #211 members residing in the several Littleton, Colorado ZIP codes, inviting members to attend a special meeting at the Littleton Bingo Hall meeting room, approximately thirty-five Post 211 members arrived for the 7:30 p.m. meeting. Chairing the meeting were members of the Department of Colorado, The American Legion, Commander, Adjutant Pat Smith, Tom Bock and 5th District officials, Department Commander opened the meeting by announcing that the charter of Littleton Post 103 was in jeopardy of being retired, that the Post had not conducted any general meetings for a number of years and that the only activities of the Post had been Boys State and Girls State, that the current Post Commander, George Harris, was physically unable to conduct any Post business. Aside from Commander Harris, there was only four other paid members in the Post, two residing in the near Littleton area, one residing out-state, and one residing in Wyoming, an insufficient number to maintain a functioning Post. Several Department and 5th District officials spoke to the need to revitalize the Post. When the final question came Kenneth E. Neudeck volunteered to become the Post Commander with provision that someone become his Adjutant. Patrick D. Callahan volunteered to become the Post Adjutant provided someone would become his co-adjutant. Russell Bauer volunteered for the job. There remained the need for a finance officer for which Willis R. Buehrle volunteered. This, then, became the leadership nucleus for revitalization of American Legion Post #103, a Post that none, other than Department and District officials, even knew existed. The major rebuilding efforts, under the leadership of Commander Neudeck, fell to the Adjutant. Department rendered a roster of approximately five thousand (5,000) Post #211 members residing in the Littleton area. The Post Adjutant began the process by sending out letters of invitation to Post #211 member residing close to the city of Littleton asking that they transfer their membership to Post #103. By the end of 1993 more than forty (40) had done so. The process of written invitations continued over the ensuing years. Since Commander Harris was incapacitated, he had called on Janice McCormick, Auxiliary Post 103 Secretary, to handle Post activities. From her Post Adjutant Callahan received the Post green bar membership roster, a folder containing a minutes of a past Post meeting and a hand edited set of by-laws, along with the Post banner and the US flag (both on staff). Later a steel safe with unknown combination was turned over to the Adjutant, later found to be empty. Under the leadership of Commander Neudeck a number of activities were initiated, namely, Boys State and Girls State, Oratorical Contest, American Legion Baseball, All Veterans Honor Guard, flag education and presentations to local schools, senior citizen centers and scouting groups. To fund these endeavors the Post, in late 1993, began conducting bingo sessions at the Littleton Bingo Hall located on west Mineral Avenue. The development of the All Veterans Honor guard was a collaboration between Littleton Post 103, Golden VFW Post 4171, along with several other service Posts. As of the date of revitalization of Littleton Post #103 an organization to honor our fallen comrades did not exist. Over a period of several months members of Littleton Post #103 and VFW Post 4171 (under the guidance of Bo Simpson) developed a funeral ritual, agreed upon a uniform (grey trousers, white shirt, and blue jacket. In time a special grey cap with gold piping was added to the official uniform. Winter came and a blue waist length coat was added to the uniform. In order to conduct bingo sessions it was necessary for the Post to conduct business under the Department’s bingo license. Russell Bauer possessed a valid manager’s license and therefore volunteered to become Manager for Post 103. Charles O “Bud” Goodwin became the Post’s game caller, with Adjutant Callahan becoming the alternate caller. Because of the unacceptable condition of the Post’s by-laws it became necessary, with the assistance of Department officials, to draft, promulgate a new set of by-laws and have them in effect for a period of five (5) years before the Secretary of State could officially award the Post its own bingo license. Mid to late 1993 Norman Loop became a member of the Post and assumed the position of Historian. He, along with other Post members, visited Littleton City officials in search of past activities of the Post. It was discovered that, at one point in time, the Post had a “home” on Curtis Street, north of Main Street, but was now a paved parking lot. What became of the building and its contents remains a mystery. It was learned that the Post had possessed ten (10) ceremonial rifles. No one could shed any light on their disposition. 1. IRC 170(c)(3) provides an income tax deduction for contributions to a post of “war veterans” if it is organized in the United States or any of its possessions, and no part of its net earnings inures to the benefit of any private shareholder or individual. To qualify for deductibility of contributions, a veterans’ organization may be exempt under IRC 501(c)(19) or any other appropriate section of the Code, but must also satisfy both a membership requirement and a purpose requirement.